In lieu of flowers memorial donations may be made to Shelley (White) Briscoe Nursing Scholarship and left at the funeral home. 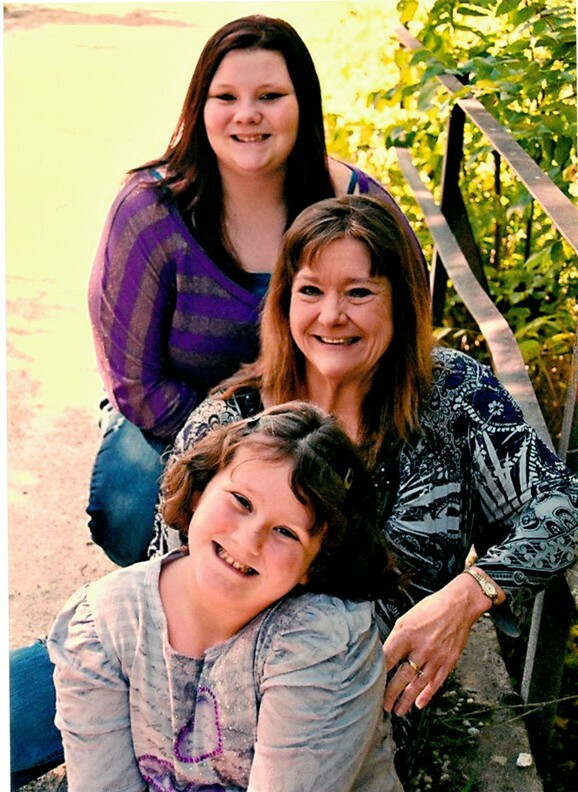 Shelley Deanne (White) Briscoe, age 54, of El Dorado Springs, MO, passed away in Barnes-Jewish Hospital on March 7, 2015, in St. Louis, Missouri, following complications related to liver disease. Shelley was born on September 8, 1960, in Nevada, Missouri, to Doyle and Darlene (Marshall) White. She was a 1978 graduate of El Dorado Springs High School. After graduation, she made the decision to devote herself to a career in the behavioral and mental health of individuals. She began her career at the age of 18 working for the Nevada State Hospital. She commuted to Fort Scott Community College and successfully completed the Nursing Program, while working full time employment. She later attended Missouri Southern State College and Kansas University. Shelley earned both Bachelor’s and Master’s degrees in Nursing. Shelley left the State Hospital in December of 1991 to begin serving in what would be various RN positions, which included Director of Nurses at Heartland Hospital in Nevada, Missouri. After working for Heartland Hospital twelve years, Shelley left the facility for Freeman Hospital in Joplin, Missouri, where she served six years as a Psychiatric Mental Health Nurse. In December of 2008, after being much sought after, Shelley accepted a position again at Heartland Hospital, where she served until March of 2015 as a Psychiatric Mental Health Clinical Nurse Specialist/Board Certified. She was a brilliant and gifted mind and was well respected and loved by both client and colleague, and her value will be missed among the behavioral health community. Shelley married Thomas Briscoe in November of 2002, and had two beautiful daughters. Her daughters were her pride and joy, her reason to live. She was a doting mother, confidante, counselor, and friend. She compelled others and brought meaning to words with wisdom beyond her years. She was an individual who sought the happiness of others before her own. She loved ferociously and without fail. She was a faithful believer in our Lord and Savior Jesus Christ and taught her children values and beliefs that keep their own eyes on God. Shelley was preceded in death by her husband Thomas Briscoe; her mother, Darlene White; her father-in-law Marion Briscoe; and an infant brother, Steven Lane White. She is survived by her two daughters, Thomara Michelle and Mya Lexia White-Briscoe; her father; Doyle White; her sisters, Kristi Toliver and husband Darren and Kasey Sindel and husband Steve; her brother, Mark White and wife Kris; mother-in-law Kay Briscoe; brother-in-law Scott Briscoe; and five nieces and nephews; Cassandra White, Chase Gardner, Morgan Toliver, Libby Toliver, and Darby Sindel. Funeral services for Shelley Briscoe were held at Bland-Hackleman Funeral Home in El Dorado Springs, MO, at 2 p.m. on March, 11, 2015, and upon her personal wishes, Shelley will be laid to rest at Virgil City Cemetery. Rev. Jack Daniel and Rev. Jerod Lamb officiated. Arrangements were under the direction of Bland-Hackleman Funeral Home. Pallbearers were: Gary Forest, Randy Marshall, Lindell Marshall, and Tony Marshall, all of El Dorado Springs, MO; Jason Campbell, Smyrna, TN; Doug White, Adrian, MO; Morgan Toliver and Chase Gardner, both of El Dorado Springs, MO. Honorary Pallbearers were: JC Marshall, Duane White, Bob Cartwright all of El Dorado Springs, MO; Terry White, Harwood MO; Larry White, Butler, MO; CB Campbell, Louisburg, KS; and Dave Coleman, Belton, Missouri.